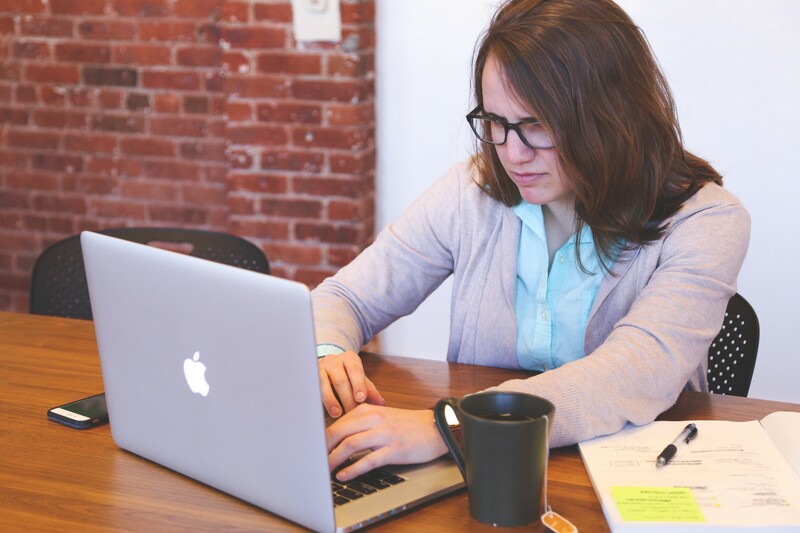 Regularly sending internal email updates is a great way to keep employees informed. In fact, email is one of the most versatile and popular forms of communication — especially for internal communicators. Though often overlooked, email is not dead. The communication channel’s continued growth offers a great opportunity for IC teams to better optimize their email newsletter strategy. As everyone seems to have an email newsletter these days, inboxes are growing more cluttered. In order to stand out amongst the crowd, you’re going to have to get creative. If your employees aren’t clicking on — or even opening — the content in your employee newsletter: that’s a sign that, perhaps, your employees might be disengaged at work. Disengaged employees can be defined as an employee that is checked out and disinterested in company success. Instead of pouring energy and passion into the company, they give the company their time. This is the type of employee that won’t care to read the internal email newsletter — unless their supervisor told them they had to. But when employees are engaged, they are committed to the organization and their role specifically. They are proactive, independent and self-motivated. They understand what is expected of them and how their position fits into the larger picture. Engaged employees will make sure to engage with their internal communication emails because they want to know what’s going, not because they have to. Low open rates and click through rates on your email is one of the many signs of disengagement that employees show. But, with improved email communication tips and tricks, you can flip that switch. Internal communication is a great tool for driving employee engagement, but, you have to remember to communicate with a purpose. Why should your employees care about the information you’re sharing in your newsletter? This should be abundantly clear. 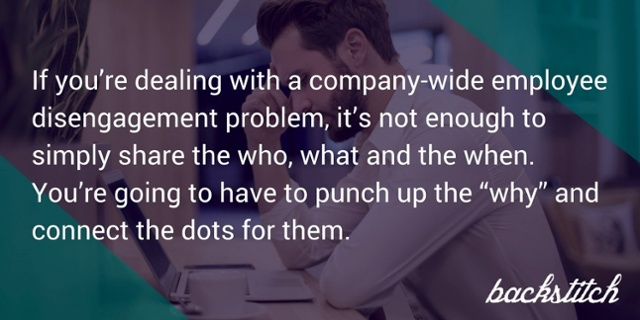 If you’re dealing with a company-wide employee disengagement problem, it’s not enough to simply share the who, what and the when. You’re going to have to punch up the “why” and connect the dots for them. More than likely, your employees aren’t reading your internal communication email because they’re bored by your messaging. Sure, part of this is due to the fact that your presentation is off. But, they also might not sure why the information is relevant to them. They’re unable to connect how reading internal messages will help them do their jobs better. This is an area where you, as an internal communicator, have an opportunity to step up your game. Once you consider that employee engagement is the larger problem and look at things from an employee perspective, then your communication might begin to fall into place. Personalize communications — segment your employee population by department and target your messages to meet their specific needs. Add visuals — your newsletter shouldn’t just be a block of text. Add visuals and branded design templates to make your information really pop. If you are a benefits communicator new to internal communication, check out this blog post packed with actionable steps to improve your newsletter. Click here to see how backstitch can revamp your employee newsletter.